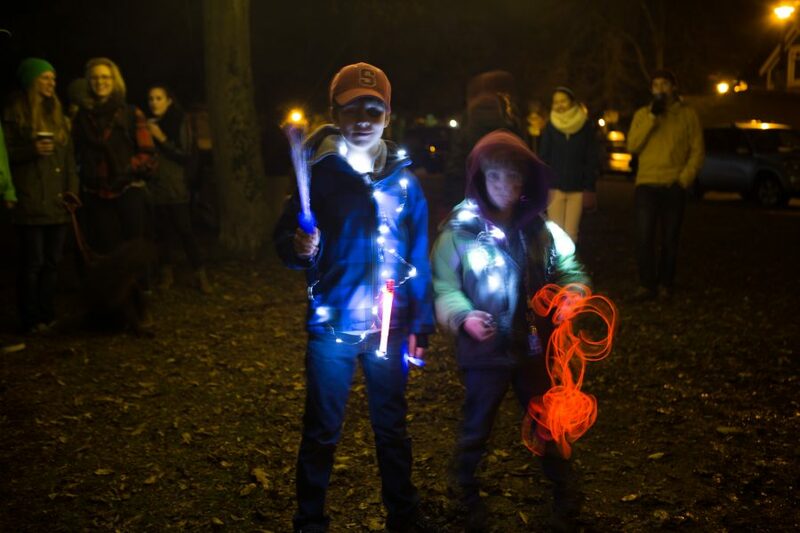 Deck the Dark seeks to bring communities together to light up the dark and under-utilized spaces in Vancouver neighbourhoods. 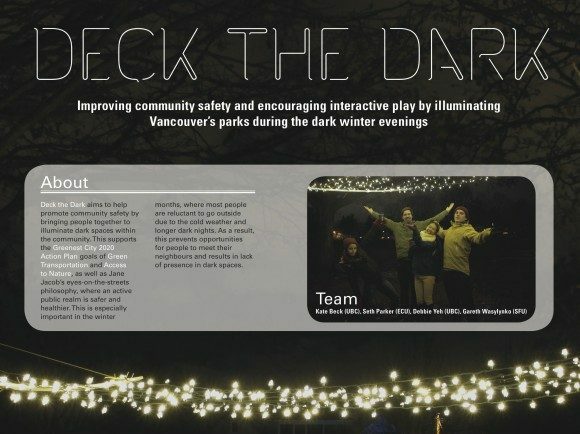 Aiming to improve community safety and encourage interactive play, Deck the Dark is a CityStudio project that brings communities together by illuminating Vancouver’s public spaces. We have created a light package consisting of an 8’ x 15 ‘ light canopy, light-up recreational activities, and power supplies that can be utilized by communities to expand usage of dark areas and increase safety within Vancouver’s neighbourhoods. This is important to cities in the world because, building on Jane Jacob’s eyes on the streets philosophy, and active public realm is safer and healthier. We will be working with communities in UBC, Mt Pleasant, Strathcona (Mclean Park) and Kitsilano. 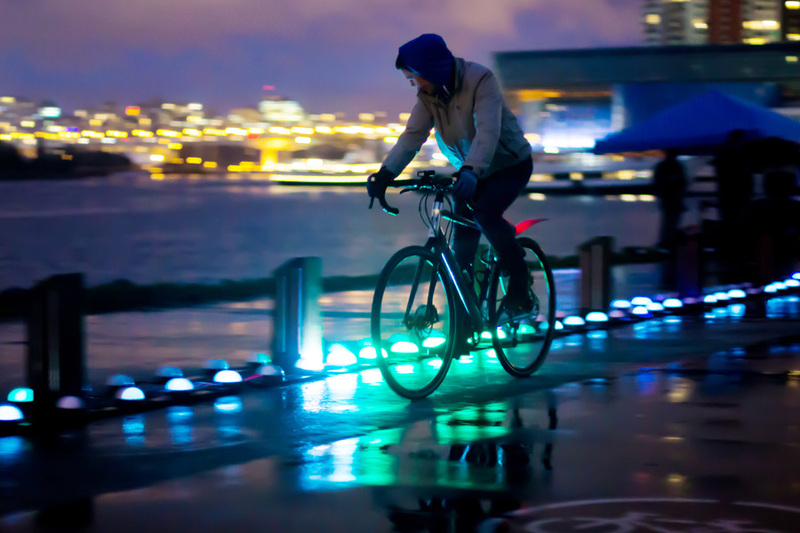 When the concept of the Deck the Dark first developed, it was with the goal to leave up a light display in a dark space for the entirety of the winter months. Through project barriers and logistical difficulties, it developed into a single evening light event at MacLean Park. Despite the shortened exposure, we were still able to achieve the core goal of our project to bring community together in unexpected ways. Our project is in the final phase of transferring ownership to our stewards, who will ensure that Deck the Dark can continue on in communities without our direct involvement. 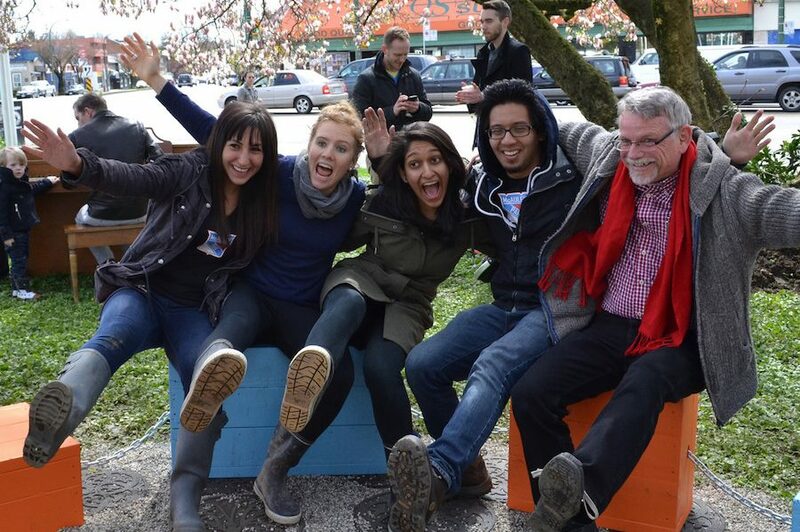 Our community steward will be youth member in the Youth Leadership Program at UTown UBC. We are in contact with their Youth Leadership Coordinator to determine the details of passing over the equipment and information so that they can put on a Deck the Dark event in the UTown community soon. This project was last done by [email protected] in March 2014.